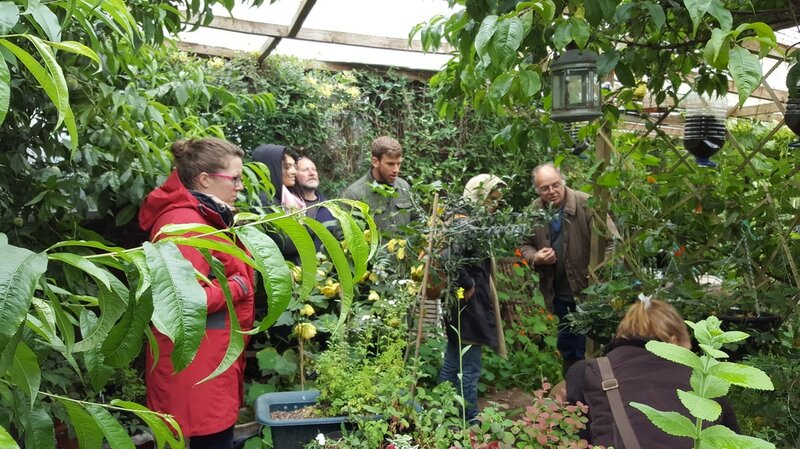 We give intereactive and very participative talks and workshops on positive pollination, off grid living, forest gardening, permacultural living, keeping bees and community profit - and everything in between. Just drop us a line. From gardeners groups, religious communities, retired NHS workers and business groups...we get asked to talk to all sorts of people! If you're interested in a talk, just email us on wildlybrilliant @ outlook.com. We'll be happy to hear from you! 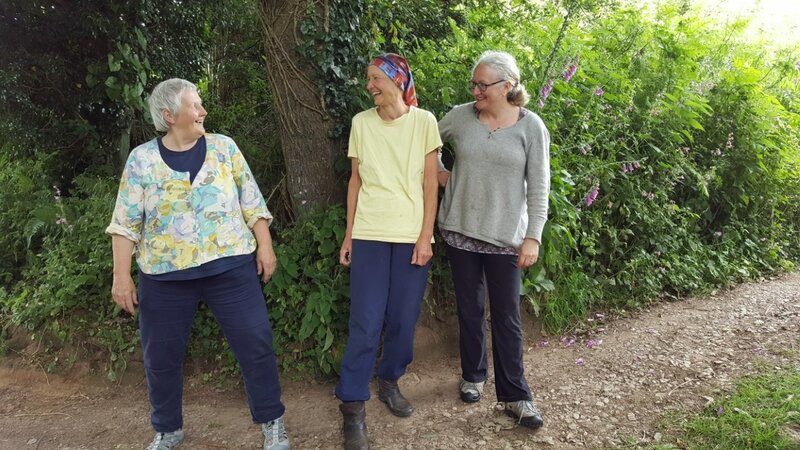 And three fabulous women from Stroud who wanted to visit to see our permacultural land and share their wisdom...our pleasure to meet you all, Stroudies! : We had sun and rain and a lovely spring breeze for our Soil Masterclass, and shared expertise and careful opinion on worms, carbon, organic matter and the black gold under our feet, with members of POGG, HOGG and those keen to learn. 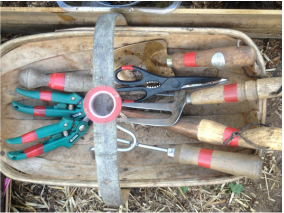 Soil is the business - have a look at our Splendiferous Soil page here...it's proper extraordinary. help buy a picnic bench and table for the kitchen! : Cob Oven Building Day! As part of the Rocket Kitchen programme, we got a Fabulous A Team together to build the cob oven, ready for use in the spring to get local school children getting wild and mucky and making bread and pizza outside: what's not to like! Thanks to Unltd for the wee grant for the cob building expertise from Andrew Ormerod! For more pics and to see the whole process, just click here: Rocket Kitchen! connections with other people, with some fresh air and with our natural environment. Garden of Senses - what goes around, comes around! There are a million ways to make a fabulous bat box...and pretty much every one was built that day. Bat Box Building - The Importance Of! 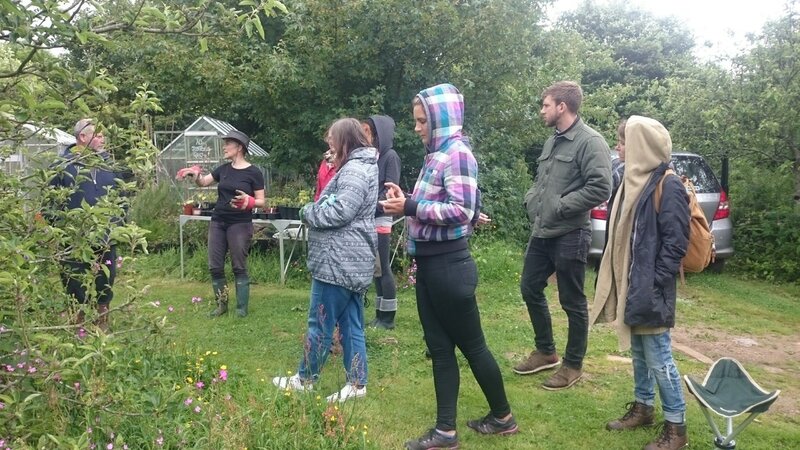 The fantastic Brigit Strawbridge spent the day here talking and positively fizzing about bees, inspiring all the Hayle in Bloomers to get busy on pollinator wisdom. She knows more about bumblebees, solitary bees, honey bees and that they live on, and off, than ANYONE we know! Have a look here for what happened! A fabulous day, with gorgeous hot sunshine bouncing off the waters off the estuary, and local companies and community groups all showing what Hayle can do when it gets together. A brilliant day - and we spoke to dozens and dozens of bee-friendly folks, from Hayle to the northwest of England - all doing our bit for the bees, and selling the beautiful flowers and seedlings from our gardens. Just the job.